This morning after weeks of delays and anticipation, Apple has begun to roll out iOS 4.2 for the iPhone, iPod Touch and iPad, bringing all three device lineups inline with each other. Major features of iOS 4.2 include multitasking and app folder enhancements for the iPad, as well as decoupling the Find My iPhone device tracking service from MobileMe. It is now free to sign up for Find My iPhone with any email address, and then track it via me.com, as well as the Find My iPhone app. 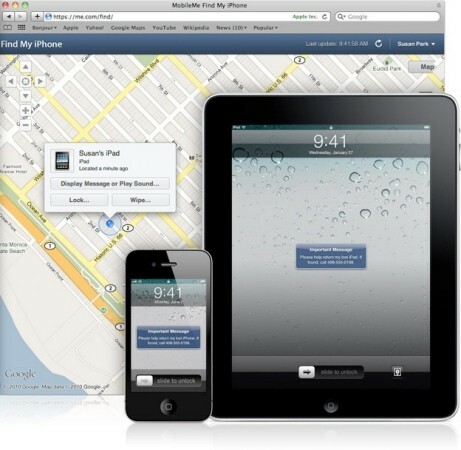 In addition, Find My iPhone was also made free for iPod touch and iPad. Many speculate that the offering of free Find My iPhone service may be part of iOS 4.2 laying the groundwork for additional cloud services for free in the future, to help Apple offer an alternative to Google Apps.